Thermal City Gold Mine is the real deal to prospect for gold and gems! 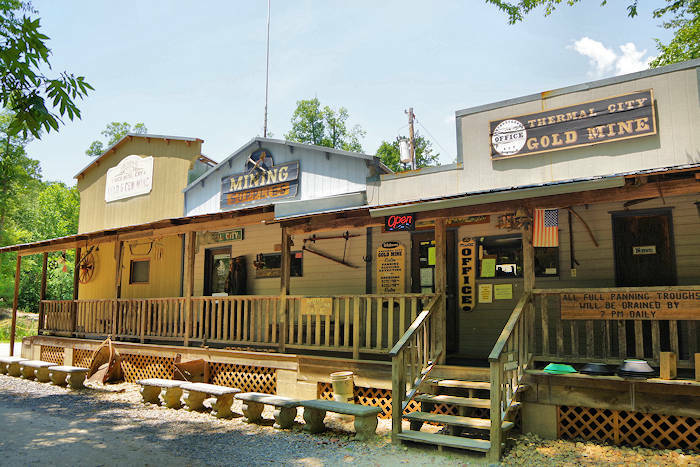 Located between Marion and Rutherfordton, gold was first discovered here in 1830 - leading to the local gold rush. They are open mid March through October. Panning and sluicing are just $10/person per day. 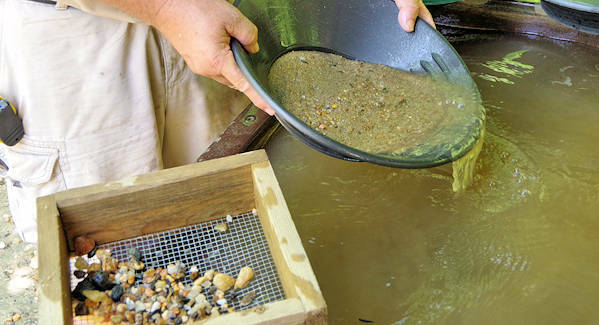 Owner Lloyd Nanney is a real prospector. He has been featured in TV shows and magazines as an authority on gold mining and has quite a collection of historic equipment and geological creations. 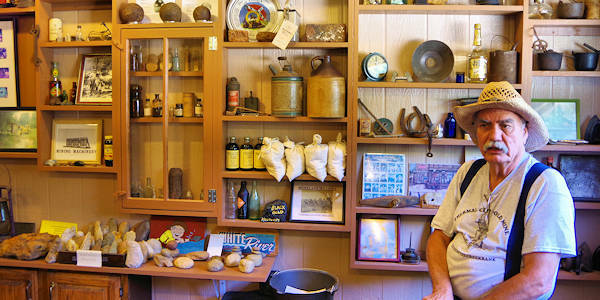 He loves to share his vast mining knowledge and interesting local history with visitors. This property has been in his family for five generations. 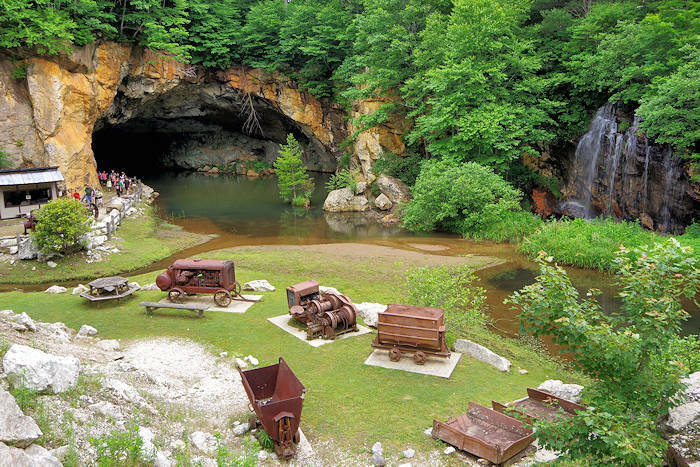 Their gem mining area has covered sluice flumes that provide hours of entertainment for all ages. Gem stones and mineral specimens found here include emerald, citrine, moonstone, rubies, aventurine, smoky quartz, rose quartz and tourmaline. They will identify stones at no charge. Take them home to create some jewelry! Buckets of gem stone material range in price from $5 up to $75. 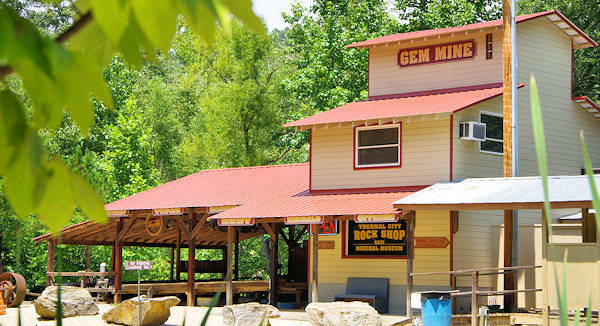 Don't miss the Rock Shop and Mineral Museum. Thermal City is one of the few real gold mines in the country that is open for all to prospect. They sit atop a large deposit of placer gold (so you find gold flakes from riverbeds not nuggets from underground mines). For just $10/day, you can pan placer material that is hauled in from prime spots on their property each day. They provide pans and screens and teach you how to use them. 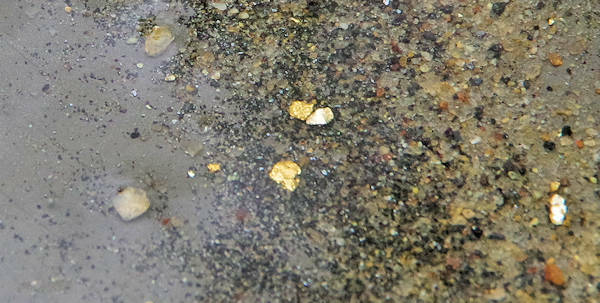 These flakes of gold in the photo above were found after a short time of panning. For more serious (and dirty) mining, use the high banker or trommels to process a lot of material quickly. Their two trommels are smaller versions of commercial gold mining equipment. The high banker and trommels ($60/load) are very popular, so call ahead to reserve them (828-286-3016). They are loaded at 9 AM & 1 PM, and you have 3.5 hours to process the material. Bring some old clothes since you will get dirty. They have a shower to clean up afterwards! 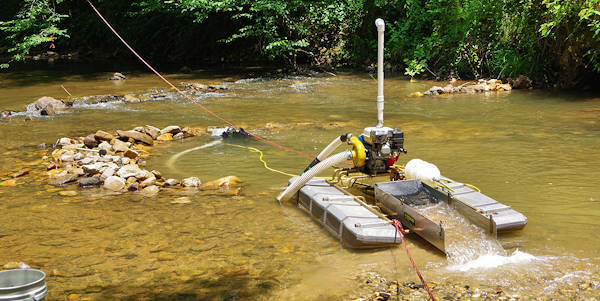 Watch professionals dredge the river bottom for gold (there's a man underwater connected to the floating trommel). 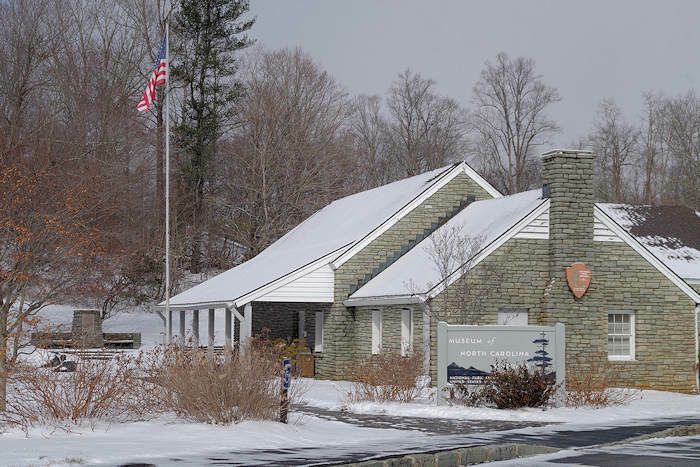 Their Mine Stores and Office are open 8:30 AM until 5 PM every day, mid March through October. Find prospecting equipment, book, rocks and souvenirs. Admission is free to visit the store and watch the fun. They also have a campground and rental cabins. 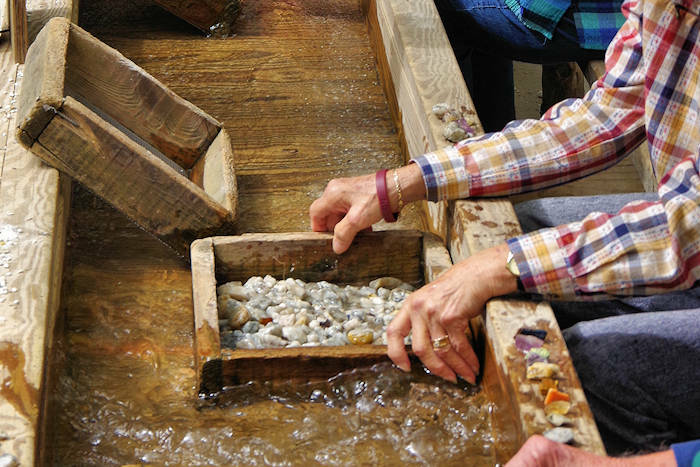 Nearby: For more about local gold history, visit the Bechtler House (11 miles) and historic mine in Rutherfordton. And see more things to do in the small towns of Rutherford County.